The New York Times still insists that the riots and subsequent attack on the American consul were the result of an anti-Muslim video so is it any surprise they refuse to face the facts here as well? When the mainstream media controls the narrative, (or think they do) this is what you get. Unfortunately, too many low information Americans refuse to believe the press would lie to them. Disservice to the truth and The New York Times go hand in hand, at least as far back as when their reporter Walter Duranty won a Pulitzer Prize for writing lies about the famine inflicted upon the Ukraine by the policies of Joseph Stalin. See “The New York Times and Joseph Stalin” at http://www.dcdave.com/article5/080309.htm. What a bunch of idiotic things to say (in her article) – can she not read? Or does she only read things with her byline on them? Good grief! Does anyone really take anything printed in the New York Times seriously anymore? Who could take either one of them SERIOUSLY????? They deliberately ignore the FACTS and spew DiSiNfOrMaTiOn. They have no integrity nor conscious let alone souls. What a JOKE these two have become! 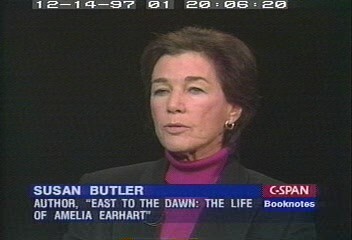 With apologies to William Shakespeare, The ladies (Ms. Butler and the NYT) doth protest too much, methinks. Since her article appeared on the opin/ed page, it would be good if Mike submitted a rebuttal article, since he is the current leading expert authority on all things AE. In a better world, I would do that. But there’s not a snowball’s chance that the N.Y. Times is going to publish anything I write. A friend in upstate New York has sent them a 150-word rebuttal letter to Susan Butler’s absurd claims, but I would be shocked if they publish it. All standard of fairness, objectivity and ethics in journalism have gone down the drain in recent years, especially at the Times, and it’s even worse in the Earhart case, which I think I’ve pretty much proven is a sacred cow to our establishment. Nobody wants to hear the truth. Thanks Walter. Joel Freedman is a friend who does his best to support the truth. You’re a neighbor – Wyoming County! Great letter – any response yet? Mike: This is Stuart in Connecticut ! Happy Amelia Mary’s birthday, my brother ! Been reading everything I can, goes without saying ! Read you 2nd edition, awesome ! You are great and I admire you ! Reading the blogs, also ! Be well ! And I know I don’t have to tell you this but keep up the great work ! Good health and happiness to your wife and furry children! Thanks Stuart, so good to hear from you. Thanks for your kind words, but I’m just a poor soul trying to do an impossible job down here, with very little help. Friends like you are hard to come by, so come by more often! For those who are interested, this Japanese “journalist” is married to the ultra liberal Pete Hamill, an ex N.Y. Post Editor. She has 2 Earhart books listed on Amazon, both in Japanese. I’m looking for a translation somewhere. 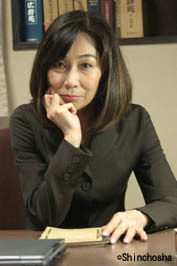 She also writes for Shinchosha Forsight (www.fsight.jp/articles/-/41955) as Tomiko Aoki and has liberal slanting articles. After reading Mike’s sections on Aoki, I clearly see that she has no real desire to spread the truth to her Japanese readers. Like Butler, she is another shill journalist. If anyone has her book translations, I would love to see them. Merry Christmas to all!